Ready for some crossed musical references and sorrow? Who isn’t, right?! 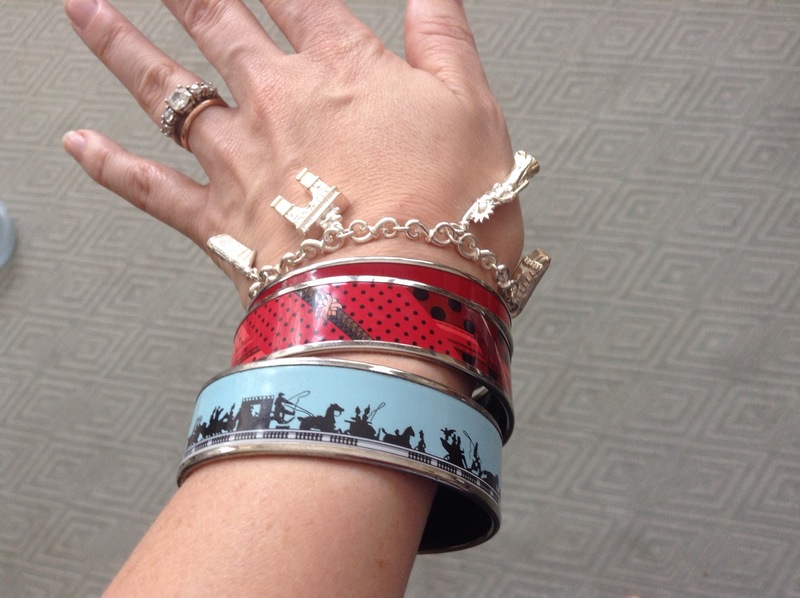 Today’s bangles: baby blue carriage silhouette, Clic Cla à Pois, skinny Calèche rouge, and a silver New York charm bracelet. Now, I’m not much of a fan of either NY or charm bracelets, but seeing as how my dad was born there and gave me this charm bracelet, I find it’s a nice remembrance of him. 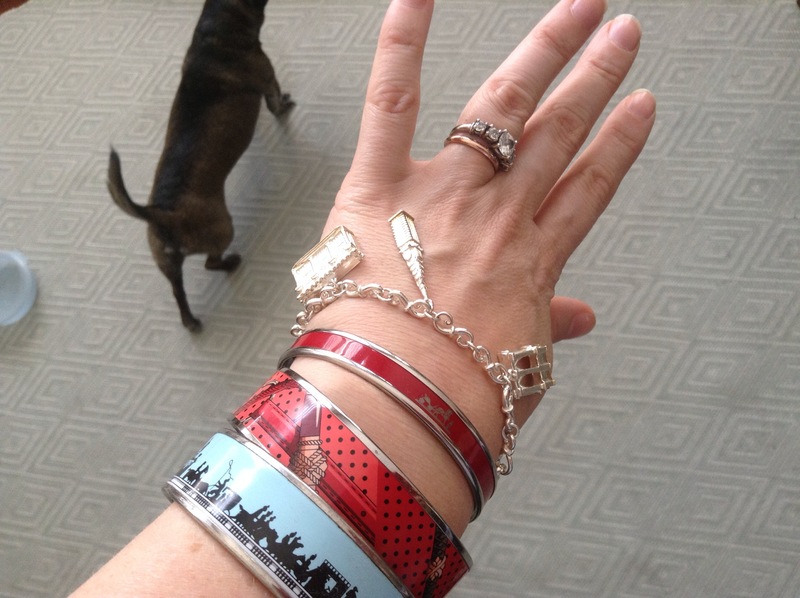 Today I paired it with a reminder of things I regret. The thing with his passing is the volume of regret I carry with me. This Clic Clac à Pois bracelet is a small example. Last Christmas he gave me some other pattern, and wretched thing that I am I swapped it for the one I preferred. This action was nothing then and stabs me in the gut now. I feel like I betrayed him. He selected something for me, specially for me, and I traded it in. I don’t think he would ever hold this against me, but my heart aches for doing it. Please play me a song, Lou Reed, to ease me through this.